Or click the “Register” link in the top right corner. Result: the Register Company form will display. 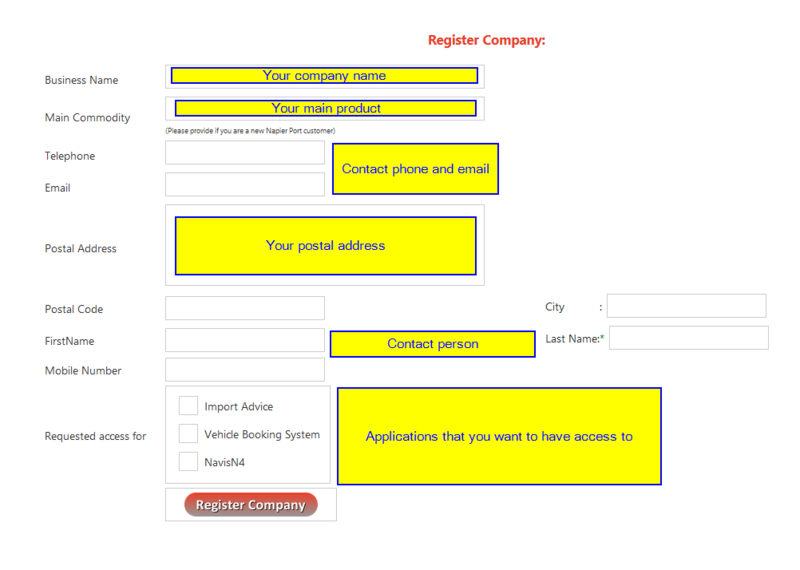 Fill out the details in the form then click the ‘Register Company’ button. Vehicle Booking System is an external application that allows trucking companies to book a time slot in which their trucks will be accessing Napier Port Container Terminal i.e. dropping export containers, picking up imports. Your application will be processed by Port employees. It will take approximately 1-3 business days to process and you will be informed by the email your provided in the form. If successful you will be provided with a username and password as well as any additional information you will need (i.e. registering for VBS requires filling out another form on the 1Stop page). Once logged in you can register additional users for your company. Note: You can do it by clicking on the “Users Management” button. Click the “reset password” link – after providing your username, an email will be sent to your registered email address and provide a link allowing you to change the password. After providing your credentials, you might see a safety pop-up asking you to mark certain parts of the picture (i.e. 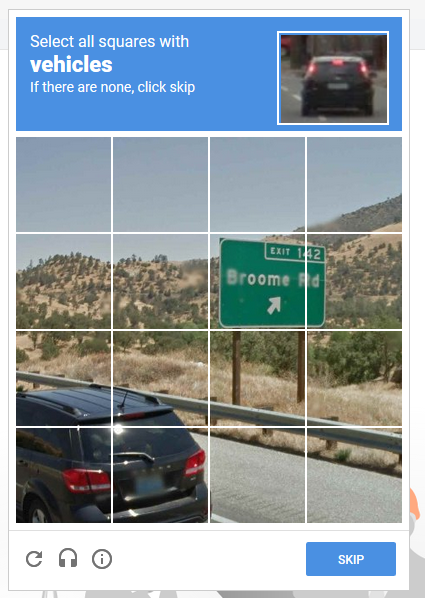 all squares containing vehicles) – this feature is protecting the page from automated attacks trying to guess the username and password using brute-force attacks.